Three young heirs, imprisoned by an unscrupulous uncle, escaped--to the sea, to the streets, to faraway battle--awaiting the day when they would return to reclaim their birthright. Once upon a time, he was Lord Tristan Easton--now he is Crimson Jack, a notorious privateer beholden to none, whose only mistress is the sea. But all that will change when exquisite Lady Anne Hayworth hires his protection on a trip into danger and seduction... Desperation brought Anne to the bronzed, blue-eyed buccaneer. But after the Captain demands a kiss as his payment, desire will keep her at his side. 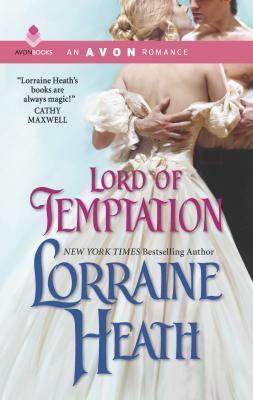 She has never known temptation like this--but to protect her heart, she knows she must leave him behind. Yet Tristan cannot easily forget the beauty--and when they meet again in a London ballroom, he vows he won't lose her a second time, as fiery passion reignited takes them into uncharted waters that could lead the second lost lord home.